Richard (Rick) Pearsall, 73, of Traverse City, MI, passed away on January 11, 2017. He was born in Wilmington, NC, on September 12, 1943, the son of Richard J. and Kathryn J. Pearsall. Richard grew up in Memphis, MI and graduated from Memphis High School. He received his undergraduate degree from Eastern Michigan University and continued on to dental school at the University of Michigan, earning his D.D.S. Degree. After graduating from dental school, Richard served in the Air Force attaining the rank of Captain. Following his military service, he established a dental office in Mt. Pleasant, MI where he practiced for over 30 years. Richard is survived by his wife, Jane; his daughter, Kendra (John) of Longmont, CO; his son, Ryan of Mt. Pleasant, MI; his step-son, Jeff (Carmen) Sommerville of Alma, MI; a granddaughter, and two step-grandsons. He is also survived by a sister, Dixie (Jim) Olmstead, of St. Paul, MN and a niece and nephew. 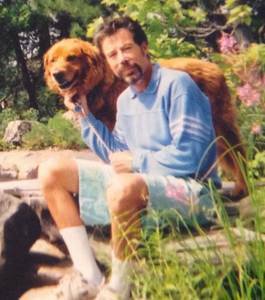 During his life Rick enjoyed playing tennis, running, hiking, mountain biking, jet skiing, kayaking, paddle boarding, and watching U of M football. He especially enjoyed spending time at the family cottage on Big Basswood Lake, Ontario, Canada and walking the beach at New Smyrna Beach, FL and Ponce Inlet, FL. A celebration of his life will be held at a later date. Memorial Contributions may be made to the Alzheimer's Association or Reflex Sympathetic Dystrophy Syndrome Association (RSDSA). Please visit www.lifestorytc.com to sign the guest book and share your thoughts and memories. The family chose Life Story Funeral Home, Traverse City.